I was only in DC for 1 day but I managed to eat some really good food while I was there. Here’s an account of all the food I could get my hands on in 24 hours. 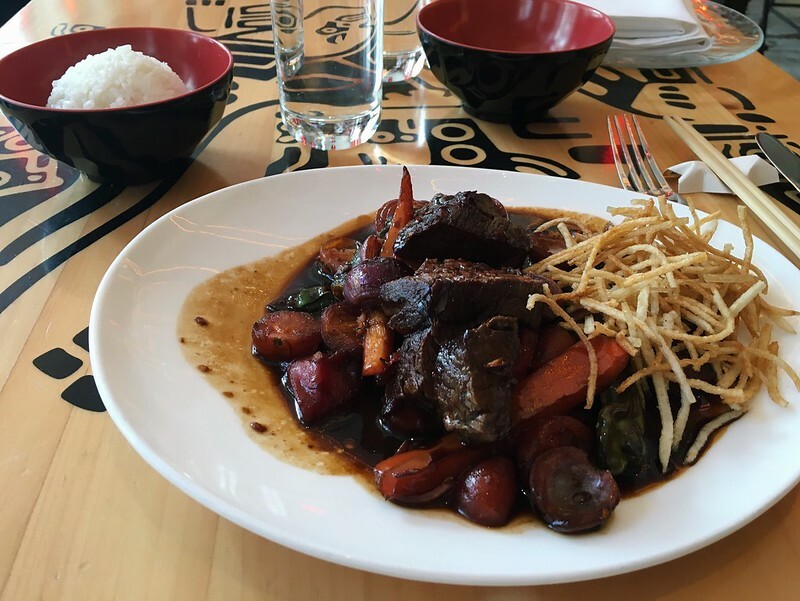 Lomo Saltado at China Chilcano: I love Chifa (Peruvian-Chinese-Japanese) cuisine so I knew I had to stop by this new Jose Andres restaurant. My favorite Chifa dish by far is Lomo Saltado, which is steak in a soy sauce-based sauce served over vegetables and French fries. The China Chilcano version comes with matchstick potatoes and adds a nice crunch. I would definitely recommend coming here if you’ve never had Chifa food. They also have a sweet lunch deal for $20, which includes an appetizer, an entree (everyone around me was getting the aeropuerto rice-fried noodle-vegetable hodgepodge), and dessert.